If you’ve ever had to buy a vacuum cleaner, there’s a good chance you’ve come across the name “BISSELL”. BISSELL is one of the most popular and well-known vacuum manufacturers. They’ve been around since 1876, and unlike many brands of that age, they continue to innovate and revolutionize the vacuum industry, and the unique technologies that they integrate into their vacuums. Today, we’re going to be taking a look at the BISSELL Crosswave Pet Pro, which is a wet & dry vacuum cleaner. Now, before we dive into the features of this vacuum cleaner, let’s go over what a wet & dry vacuum cleaner actually is. So, a dry vacuum is, essentially, the kind of vacuum that most people have. It vacuums up dry material, such as dust, dirt, and various types of debris. Chances are, if you own a vacuum, you have a dry vacuum. For most people, a wet vacuum is a vacuum that can vacuum up wet material, such as water. However, with the BISSELL Crosswave Pet Pro, that’s not quite the case. 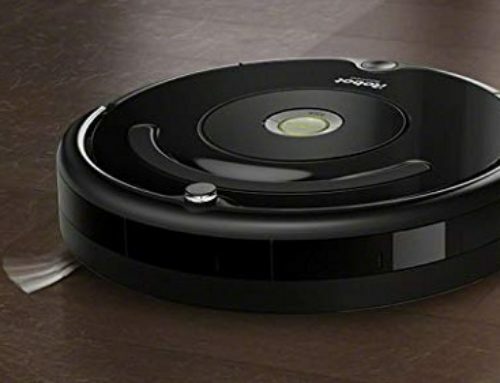 Instead, this vacuum washes your floor, using water and some detergent, while you are cleaning. That way, you don’t have to mop afterwards, and you can get rid of any stains that are created during the vacuuming process. What Are The Features Of The BISSELL Crosswave Pet Pro Wet & Dry Vacuum Cleaner? 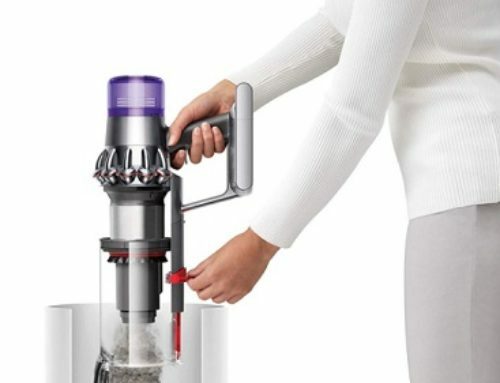 Weighing just 11.5 pounds, this is a pretty lightweight vacuum. Not too heavy, so you can easily pick it up and move it around, without straining your hands, back, or shoulders. Since the power cord is a total of 25 feet, you can vacuum a large space without having to constantly plug the power cord in, and then to unplug it and find another power outlet. On the front of the vacuum, there are two small tanks. The first tank is to store water and the cleaner fluid that you will be using on your floors. The second tank is for the dirty water. As a system, this is handy because you don’t want your floors to be coated with dirty water. In the dirty water tank, there is a small strainer. This strainer captures pet hair and then separates it from the rest of the debris. This is very useful because pet hair can be very difficult to remove, but with the strainer, all you need to do is take it out and dump the contents into the garbage bin. You’ll also notice, on the front of the vacuum, there is the dust canister. This isn’t a particularly large dust canister, because it can only hold 1.75 pounds of dust, dirt, and debris. Which, unfortunately, means that if you want to clean for a longer period of time, you’re going to have to empty it out on a pretty regular basis. On the bottom of the vacuum, there is the brush roll. This brush roll is known as the “Tangle-Free Pet Brush Roll”, and it is designed for pet hairs that are as long as 8 inches. It can, of course, clean up other things, but pet hair is the speciality of this particular brush roll. Using this brush roll, you can clean just about any surface. Whether it’s an area rug, a hardwood floor, a rubber floor, a linoleum floor, a laminate floor, etc; you can clean that surface, because it has been designed with that level of versatility in mind. 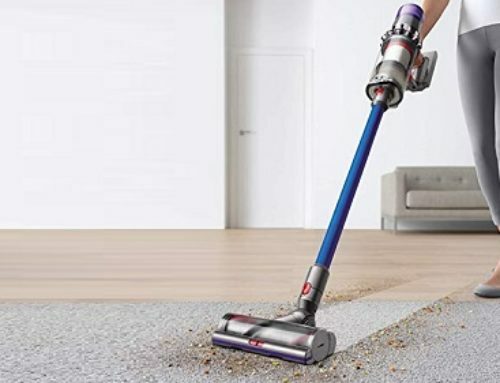 One of the greatest things about this vacuum is the fact that it is so versatile and that it gives you so much freedom when it comes to what you clean. Most other vacuums are quite limited, in this regard, and they only work well when cleaning carpets, or hardwood floors. But, BISSELL has designed a vacuum that goes above and beyond, in that aspect, and enables you to clean any surface that you want to clean. Maintaining the vacuum is simple since you can take out the brushes by simply pressing a button and opening up the brush window. The same goes for cleaning out the water tanks, because those detach with the press of a button, as well, and you can take them to the sink and clean them. The BISSELL Crosswave Pet Pro is a really well-designed and efficient wet & dry vacuum. It may not be the most feature-rich vacuum, but as vacuums go, you could certainly do a lot worse, and this happens to be one of the best on the market.